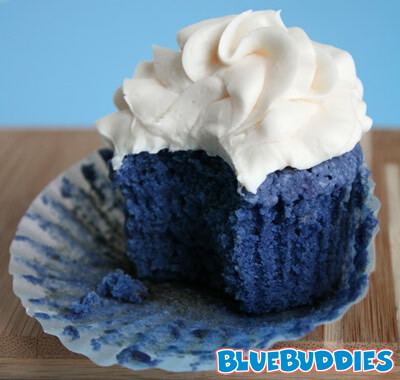 Juneberry Lane: Superbowl Showdown: Blue Velvet Cupcakes (that's right, BLUE!) 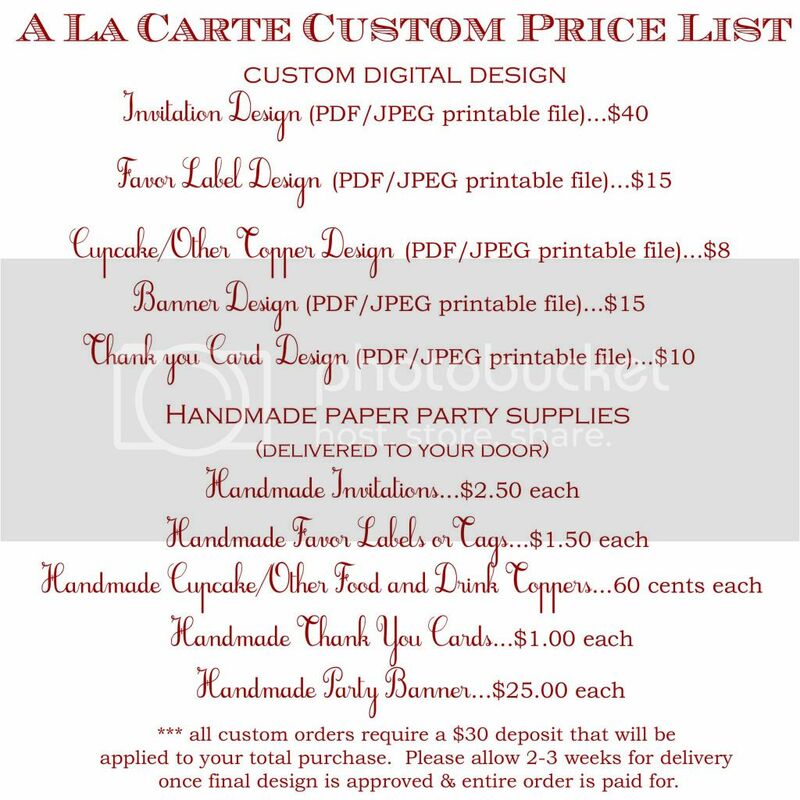 and FREE Printables!!!! 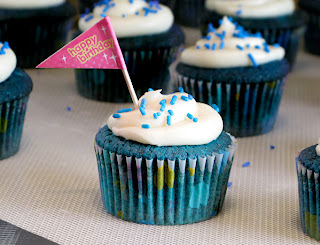 Superbowl Showdown: Blue Velvet Cupcakes (that's right, BLUE!) and FREE Printables!!!! We are only days out from the biggest day of the year in the NFL, and even if you aren't a huge football fan like myself (the Dolphins have my heart:), you simply can't say you aren't a fan of the parties!! Delicious food, yummy munchies, and drinks all around! And now you can add divine desserts to that list because we have the most scrumptious cupcake recipe to stop the show at your big shindig this weekend!! In honor of the two red, white, & blue teams who made the cut this year, why not whip up some blue velvet cupcakes?! 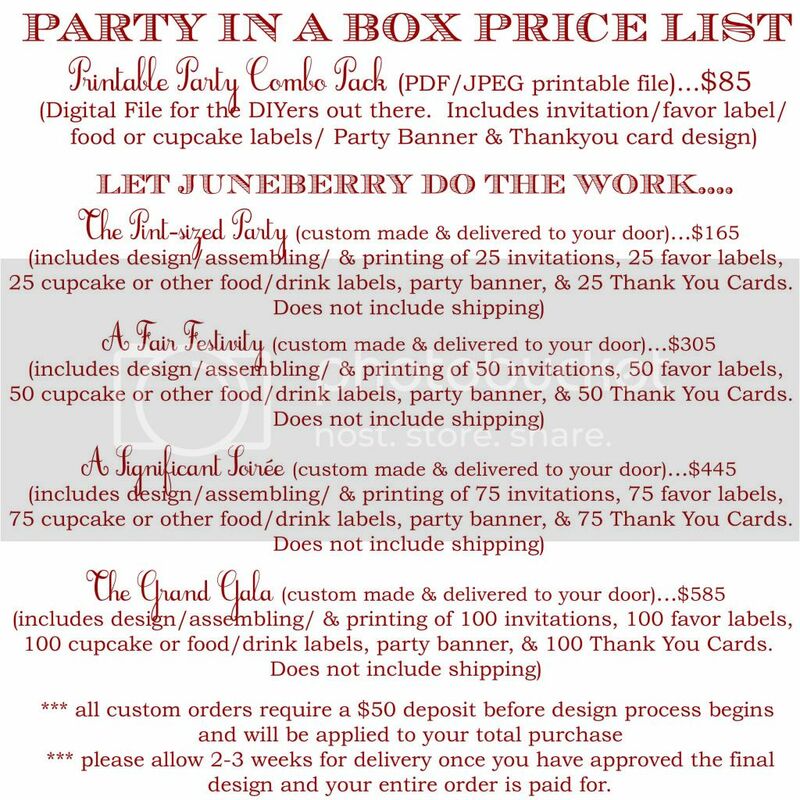 After all, red velvet is SO last year:) And don't forget to scroll to the bottom pf the page for your free Giants/Patriots free printables! Check this out . . . 1.) Preheat oven to 350 degrees F. Prepare cupcake pan(s) with paper liners. 2.) In a mixing bowl, cream the sugar and butter, mix until light and fluffy. Add the eggs 1 at a time and mix well after each addition. Mix cocoa and food coloring together to form a paste, and then add to sugar mixture; mix well. Sift together flour and salt. 3.) Add flour mixture to the creamed mixture alternately with buttermilk. Blend in vanilla. In a small bowl, combine baking soda and vinegar and add to mixture. 4.) Pour batter into cupcake papers. Batter will be thick! Bake for 25–30 minutes, or until a toothpick inserted into the center comes out clean. Remove from oven and cool completely before frosting. 1.) In a large mixing bowl, beat the cream cheese, butter and vanilla together until smooth. Add the sugar and on low speed, beat until incorporated. Increase the speed to high and mix until very light and fluffy. 2.) Frost the cupcakes with a butter knife or pipe it on with a big star tip. Embellish as desired. Cupcakes will be moist, and slightly dense. Exactly what you would expect from a Red Velvet Cake- gone BLUE! Note: You can also use 1 tablespoon of Wilton royal blue food coloring gel in place of the liquid. Recipe courtesy of Tasty Kitchen. And don't forget to follow this link for a fun & FREE set of Superbowl team cupcake circles too! Just print as many of these as you need and use a 2" craft punch to cut them out, like the Uchida Clever Lever 2" MEGA Craft Punch from Michael's Craft Store:) Or if you prefer, you can also cut them out at the squares or with scissors! There now, who said that sports parties can't be fabulous!!! !